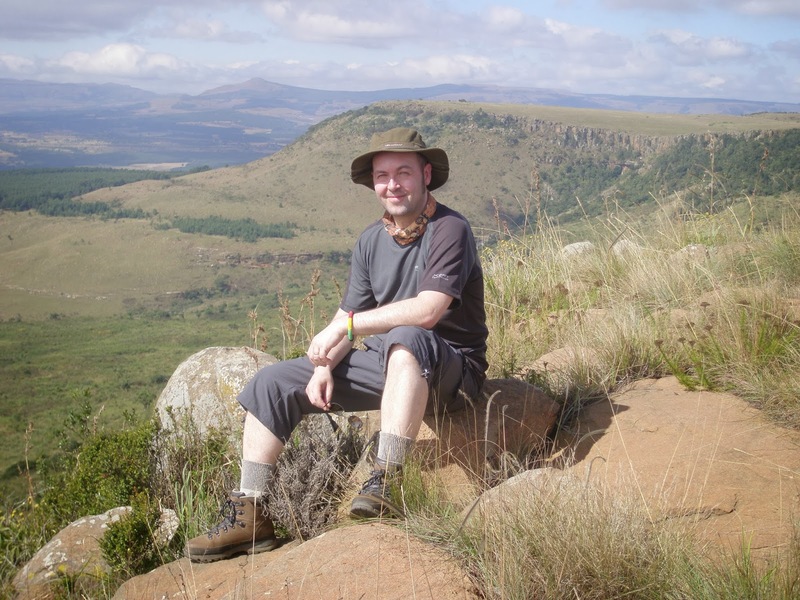 Moments of Adventure: ZULU Moments ! 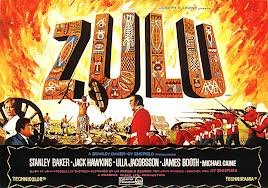 50 years ago since the release of the movie and 135 years since the battle its based on, its great for a fan such as I to see all the attention that 'Zulu' is getting at the moment! There was a great two page spread by Sheldon Hall in the weekend's Independent On Sunday newspaper, based on his more detailed 12 page tribute in specialist movie magazine, Cinema Retro which in turn distills some of the extensive research and information published in Sheldon's earlier book on the movie, (which features a cameo of my comic! 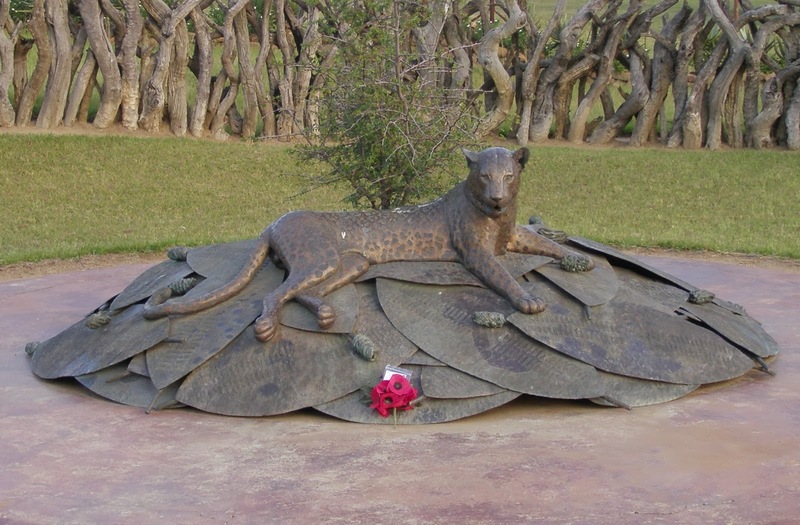 ), Zulu:With Some Guts Behind It! 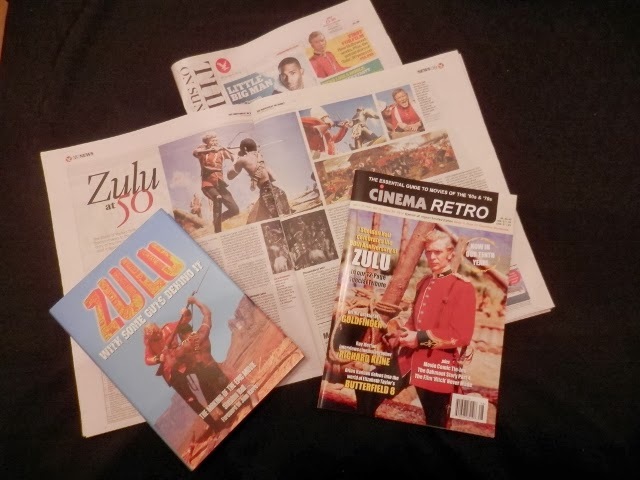 , which itself promises an expanded edition, that and renowned Zulu expert and historian Ian Knight's blog report and another at the BFI, concerts and re-showings of the movie, a huge auction of authentic Zulu War artifacts, you could be forgiven for thinking the whole world has gone Zulu crazy? 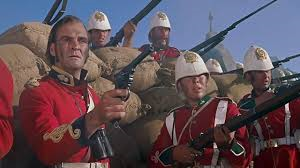 I'm not complaining as I too am one of the many profoundly affected by a childhood screening of the 1964 Stanley Baker, Michael Caine starring movie...ZULU and my life was (literally) never the same! This might sound fanciful but this movie fascinated me from the moment I first saw it and has stayed with me ever since, to the point that I even write these words below a Zulu movie poster and shield hanging on my wall! With Zulu though, I think it was the sheer drama and tension of these red tunic, white helmeted British soldiers facing up to this brave fearsome native warriors outnumbering, surrounding and attacking them again and again. 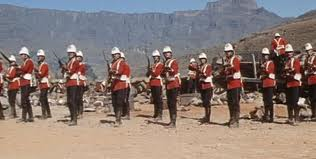 There was no hiding place from the Zulu's it was simply fight or die and that along with the dialogue, sharp cinematography and of course that theme tune which resonated with me through the years. In those far off pre-Internet days, there was after a movie came and went no real way of a small town 11 year old finding out more so I had to be content with slim pickings which for me was one of those delightful history themed Blick Instant Transfer Picture Books where you could recreate some pretty violent action scenes! Sadly not my childhood original but an ebay find! Through this book though I learnt a little more about the Zulu people, their shaping into an army and nation by King Shaka, their conflicts firstly with the Boers and then the British which ultimately led to war and the Zulu's defeat in 1879. 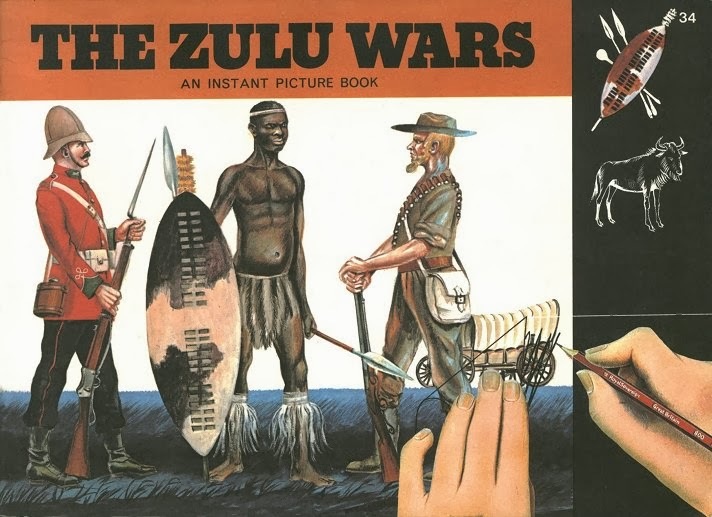 From these humble starts came a chance book shop find years later to re-engage me with the true story of Zulu which led to a fairly extensive library on the subject (I've at least 50 books and too scared to do a proper count!). 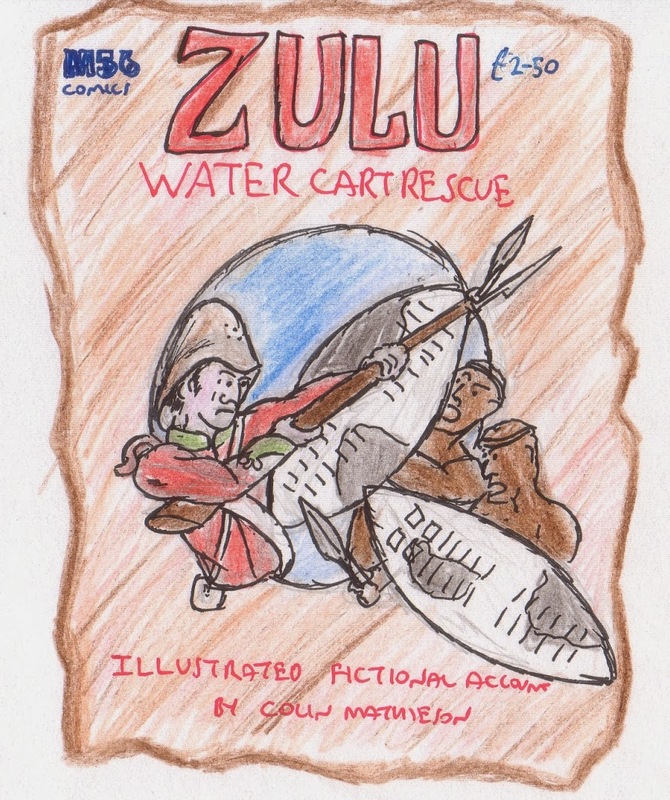 Combining this research with one of my other life long interests of comics, led me to create my own comic book on an incident at Rorke's Drift, but not featured in the movie, The Water Cart Rescue, when after the first day's intense fighting a small group of volunteer soldiers leapt over the 'safe' barricades into Zulu occupied territory to retrieve an abandoned water cart to quench the defenders desperate thirst. The comic led directly to meeting a certain Dave West and forming, (initially with Barry Renshaw) the indie comic publisher, Accent UK and of course our varied and continued attendance at comic shows far and wide which in those early days included special Zulu themed exhibitions at the likes of the National Army Museum in London and the Regimental Museum in Brecon, happy days. 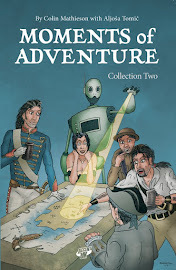 Never before revealed Issue 2 cover ruff - gulp! 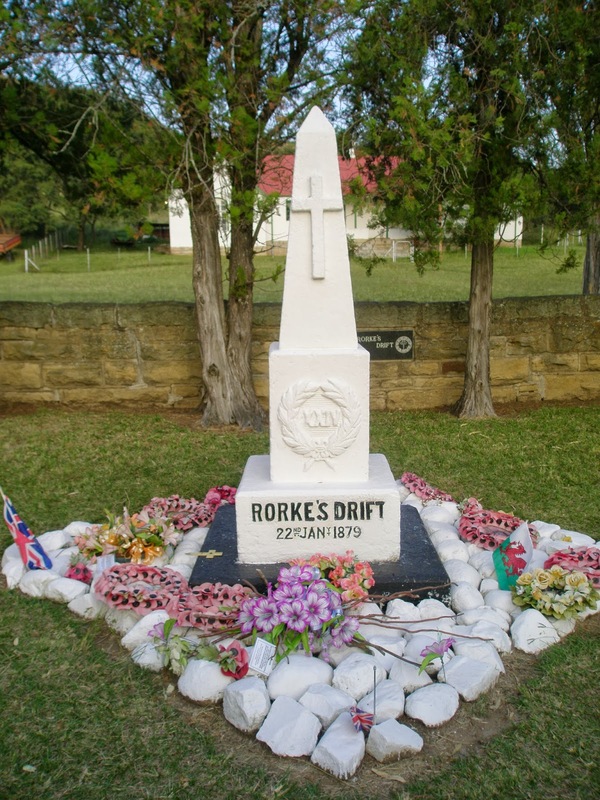 My research and studies into the Anglo-Zulu War disappointingly revealed that the movie had taken certain liberties with the real Battle of Rorke's Drift and the more I read about the causes and more importantly the aftermath of the war, it was a pretty brutal affair and did not end well for the Zulus, from which they never recovered and arguably led to many of the modern difficulties facing them today. 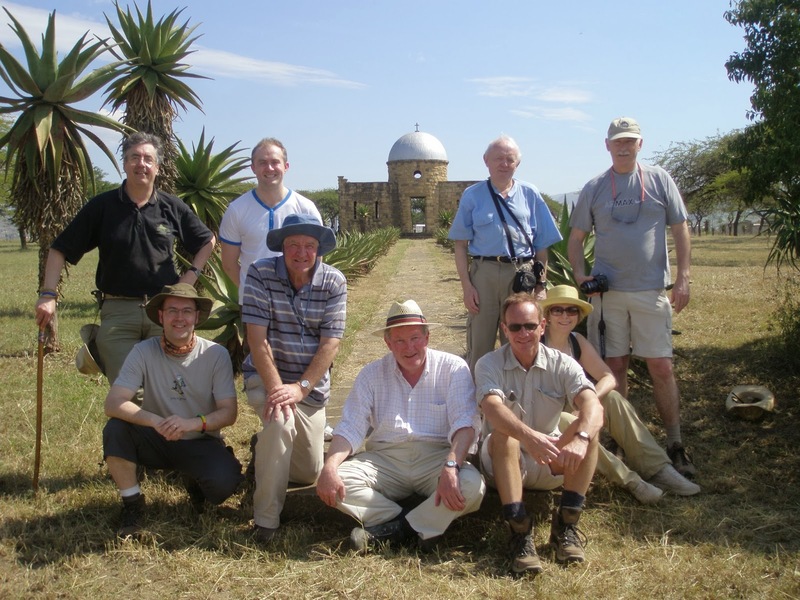 It was with these thoughts that I was fortunate to take a dedicated tour of the Zulu War battlefields myself in 2010 with the afore-mentioned historian, author and all round good egg, Ian Knight and a small band of similarly interested companions, most of whom had also had their interest in this period fuelled by the movie. It was the most absorbing and rewarding trip I've ever been on with some genuine moments of adventure, danger, fun and thoughtful introspection. this photo) a sudden violent thunderstorm in 2010! 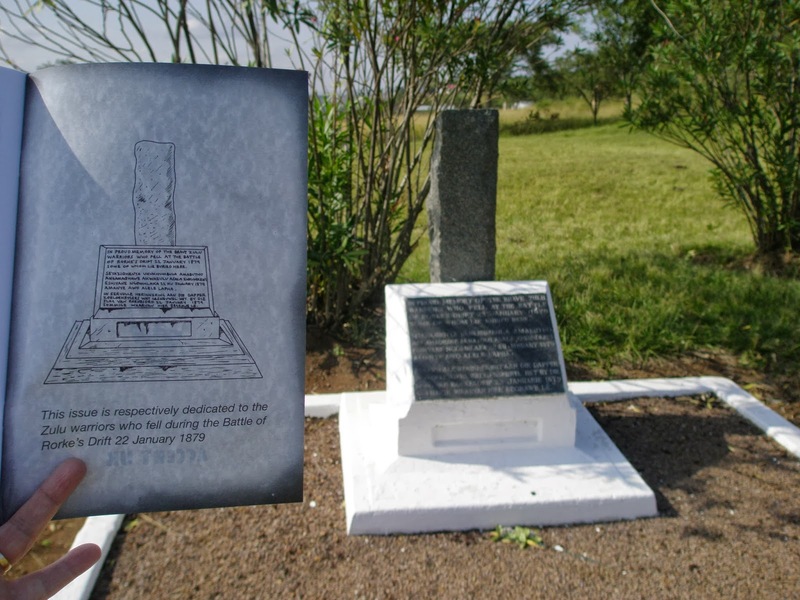 During the trip we had several glimpses and reminders of the harsh realities of modern day Africa and spent a little time with some real Zulu's who were on the whole pretty bewildered by our interest in the 1879 war, but pleased nonetheless that we had visited. It was also World Cup year with South Africa due to host the famous football tournament that summer and there was genuine excitement that it would bring a boost to tourism and improve the average person's lot, I hope they, like their national team weren't too disappointed with the way things worked out? 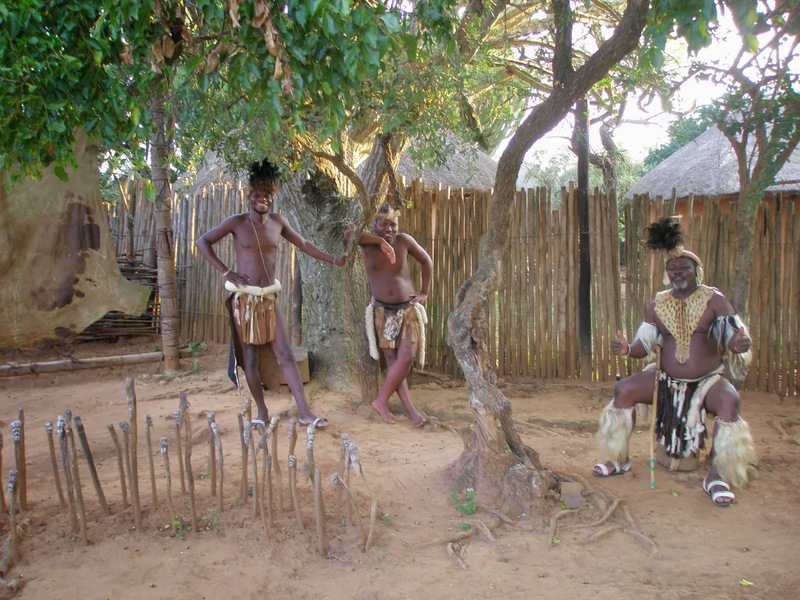 Some friendly Zulus at Shakaland!